Recently a petition has been circulated online calling on the PM to resign over the remarks he made at a community event in AMK. These lines seemed to imply that Singapore belonged to everyone living here, including expat bankers, tax dodging billionaires, even abused cheap foreign labour, rather than to the citizens whose menfolk have to give up a considerable portion of their lifetime earnings to save the PAP the cost of employing a professional army and police force. I and the Reform team will be visiting AMK this Saturday so if you were angered by these words we hope you are able to come and join us. Strangely in this last week I have been astonished to meet two stateless people here in Singapore. By the PM’s definition Singapore belongs to them as they have been living here longer than the state has existed. It is surely special when everyone else can belong but if you are of minority descent, you can be stateless. There’s a speech writer out there who needs firing. Where has he been living. or is he just another Foreign Talent oblivious to the feeling on the ground. The petition is aiming for 100,000 signatures or roughly 5% of the electorate calling on the PM to resign and hold fresh elections. Unfortunately even with that number it would have no weight given our Constitution and system of government. Recall petitions are widely used at the state level in the US to force elected officials to resign and submit themselves to fresh elections. The most famous example of their use was in 2003 in California where an unpopular Governor, Gray Davis, was forced to resign and submit to a recall election. He lost and was replaced by Arnold Schwarzenegger. I agree wholeheartedly with the idea that the people should be able to recall elected officials and force them to submit to fresh elections. This should be part of a wider extension of democracy, which is becoming ever easier as nearly everyone is online. As in the US, petitions to repeal or initiate legislation should be possible as well as recalls. The Reform Party therefore calls for a constitutional amendment to mandate the holding of a referendum if, say, 5% of the electorate signed a petition calling for it. This could be similar to the practice in many US states. In California this allows the people to initiate laws or to repeal unpopular ones as well as the right to approve constitutional amendments. Further debate would be needed. Recalls should probably require a much higher percentage of the electorate to be successful. In California it was 12% . Some US states require there to be allegations of misconduct which can be challenged legally before there can be a recall petition. It is unlikely therefore that they would be successful here where our courts have ruled that the citizens cannot challenge the legality of government actions unless they can prove they have suffered special damage, in the case of my action to have the IMF loan commitment declared unconstitutional. So without any mechanism the petition is just another flight of fantasy and will have as much effect on the PAP and PM Lee as dogs howling at the moon. How can we have such advanced democratic machinery when we lack even the fundamental building blocks of a functioning democracy? Singaporeans may be rightly angry with the PM but there is a massive disconnect that prevents that anger on the ground from bringing about change. One of the causes is the mistaken but still potent fear that people have, particularly older voters, that their vote is not secret. MARUAH estimated that about 10% of Singaporeans in the last election feared that their vote was not secret. I firmly believe that the government cannot find out how you voted. However that does not stop the PAP from playing on those fears and threatening the withholding of state resources such as HDB upgrading if the voters in a particular constituency vote against them. The surprising thing is that the PAP continue to use the same threats today as they used to illegally sway the election at Cheng San in 1997 though they have diminishing power to scare the electorate. It is for this reason that I have repeatedly called for Singaporeans to be given the freehold of their HDBs and for government control over the economy to be reduced through the privatization of Temasek and GIC. Secondly there is the whole system of GRCs that was put in place. I have written on this subject many times before. The deliberate creation of ever larger GRCs together with the raising of election deposits to levels where only the elite could stand for election acted as a significant deterrent to having all seats contested or bringing in new blood and new ideas. In fact in 2001 the PAP were returned to power on Nomination Day before elections were even held. while in 2006 they gained nearly half the seats unopposed. Even in 2011, where elections took place in all but one the GRC ( thank you Ng Teck Siong), the system magnified the winner-takes-all nature of the First-Past-The-Post (FPTP) method of election to such an extent that again the PAP ended up with over 90% of the seats though they got only 60% of the vote. The major symptom of this disconnect is that people will just put up with so much. Austerity, a lack of universal health care and free education, no true property ownership, a government which year after year makes massive surpluses but refuses to account for its performance or to share them with the people. All this seems to come from being brainwashed by a PAP-controlled media and education system, as well as the pressure to conform during NS, into believing mistakenly that Singaporeans are much better off than citizens of other freer countries. My father told them to wake up from their slumbers and cast off their chains. But even if they were to do that the means to translate that into more representation in Parliament and a change of government have been deliberately weakened. So the writers of this petition are kidding themselves if they think the PAP will introduce any form of direct democracy. They have gerrymandered and manipulated the electoral process to thwart the peoples’ will. They have disenfranchised us to such an extent that the PM really believes his constituency is some kind of global expatriate rather than the people of Singapore. He prefers the company of CEOs of MNCs and global pundits to Singaporeans even though it appears he finds it difficult to string an intelligent sentence together if he is not being cosseted by his well-paid PR minders. A free media. This can only be brought about through the repeal of the Newspapers and Printing Presses Act and the Broadcasting Act. This would encompass the scrapping of the recent regulations by MDA to bring online news sites under its control. The reduction in GRC size to no bigger than three with at least half the constituencies being single-member once again. Without pushing for these basic reforms first, a call for the PM to resign and hold fresh elections is just a fruitless and frivolous exercise. Some have criticised the petition as disrespectful to the PM. But how can we respect him when his mandate has never properly been tested? He got into Parliament on a walkover in 1991. Until 2006 his GRC was not contested. Then the WP sent a team of Young Guns there but did very little campaigning. In 2011 he only had to face a last-minute scratch team of youngsters from the Reform Party. His is the only remaining six-member GRC. If he wants our respect he should abolish the restrictions on free and fair elections. In addition he should come out and contest an election in an SMC. Unfortunately there is no chance that the PAP will ever willingly abolish the restrictions that tilt the playing field so much in their favour. The PM can and will continue to laugh at us from behind the walls of his GRC while impressing foreign pundits and MNCs that he has found a new economic model to disenfranchise his citizens in favour of a new global elite. 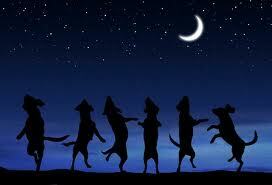 Until Singaporeans wake up from their suicidal resignation, the dogs will continue howling at the moon. Could you tell us a little about the two stateless people in Singapore? I would like to know, if they are deserving of citizenship, why they do not have it, and if they are not deserving, why they are allowed to live here. Yes. I too have these questions. I do need to find out more and one case has given me permission to publish his details. I will wait until I have an official denial or confirmation though. Stateless people are not the same as refugees, although there are many overlaps. Statelessness elsewhere usually occurs because of boundaries changing, war and other upheavals resulting in loss of documents. There are an estimated 10,000,000 Stateless people globally at the moment. In our case people born back in the “malaria infested fishing villages” in the 20s, 30s and even later often had no birth certificates. In the case of our guy he definitely wants to be here, lives here and he was born here but has no birth certificate. His NRIC even says ‘Malay’ under ‘Race’ but his Nationality states “nothing” As he has NRIC and he lives here, it’s not simply a matter of having slipped through the net. Then again maybe there is a sound explanation. It does seem to me from what I know of both cases that the individuals are being punished for their parents lives and decisions. I will write an article as soon as I know. Do subscribe to be sure of not missing it! “Majoritarianism typically involves an elected government that captures the courts, silences media critics and tinkers with the constitution to perpetuate its rule”. Thanks for sharing although that’s too mild to describe the PAP. The question is what do we mean by elected? They got in via a walk out and therefore a walkover. I have been following and will still follow your ground achievements in reaching out to the masses I am hearten to note that many have indeed sought and received help from you and your comrades. I am unable to voice openly my support for you after what has happened to me during the last Punggol East By Elections. I reckon even though am a ex civil servant, me and my family’s movements are constantly being monitored and that has resulted in me first getting a warning letter for not getting prior approval before participating actively in that by elections and finally getting terminated over a frivolous reason without any recourse or severance pay. To be very honest, soon after the by elections, one of my Cousin Sister who is a Teacher told me that many in my community applauds my courage but it came at a very expensive price; losing my job and not getting employed any sooner. I am still jobless, penniless and to add to my woes I have vision impairment which caused me to suffer temporary blindness on both eyes. I have underwent a successful right eye surgery and on May 16th some baseline tests will be done on my left eye to determine whether is it suitable for surgery. Please be assured that you have my full support though sadly under camouflage due to the circumstances that I had gone through. I humbly pray that you and your comrades will succeed in eliminating cronyism, nepotism and freemasonry with one sole objective that as local born citizens of Singapore we have an active stake in running the state of affairs of our Country regardless of race, creed or financial status. I would like you and your comrades on Saturday during your walkabout in AngMo Kio to get the ground sentiments on the proposal to employ foreigners with the exception of Malaysians to be Police Officers. Please thereafter post the census on FB and I will spread the message across as me and many police retirees are against this idea and are planning to hold a protest at Hong Lim Park if Parliament passes a legislation allowing such a move which is indeed a serious threat to our National Security. Till we meet again, my blessings to you and your comrades to succeed in getting us the recognition we truly deserved and not become outcasts of our very own country. The papy govt needs to be VETOED OUT in the next GE – that would be panacea for Singapore.